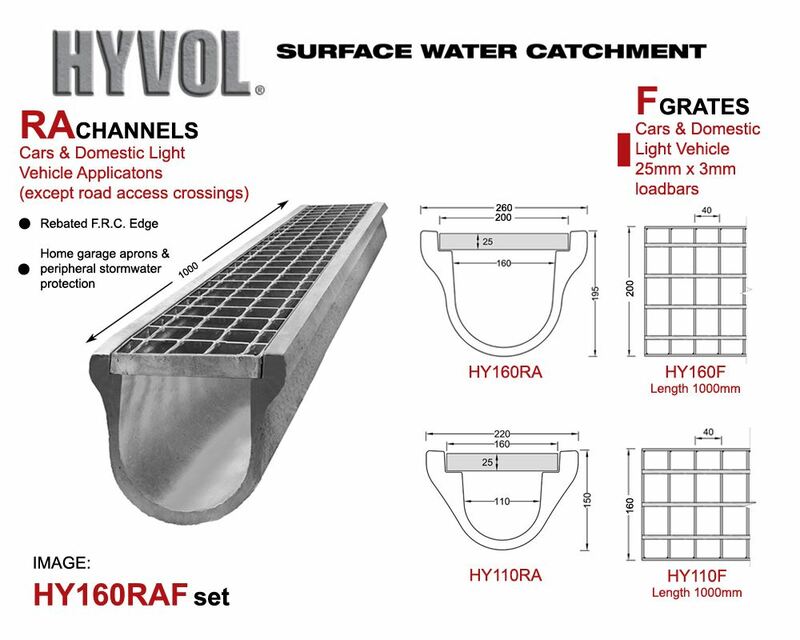 HYVOL® RAF Channel/Grate sets are used for Cars & Domestic Light Vehicle Appliations. 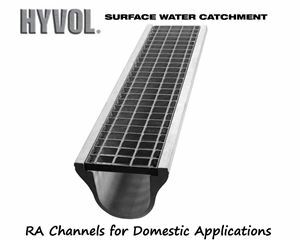 RA Channels have a F.R.C. 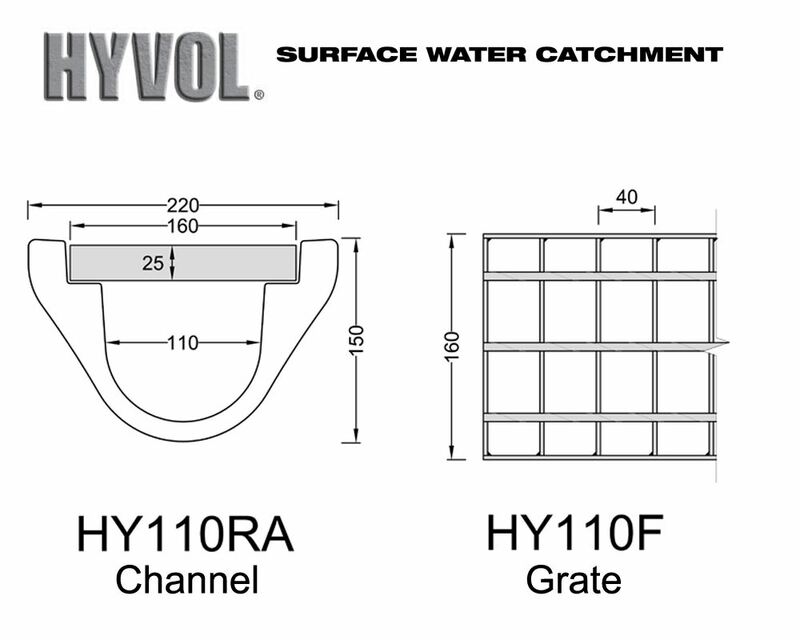 egde. 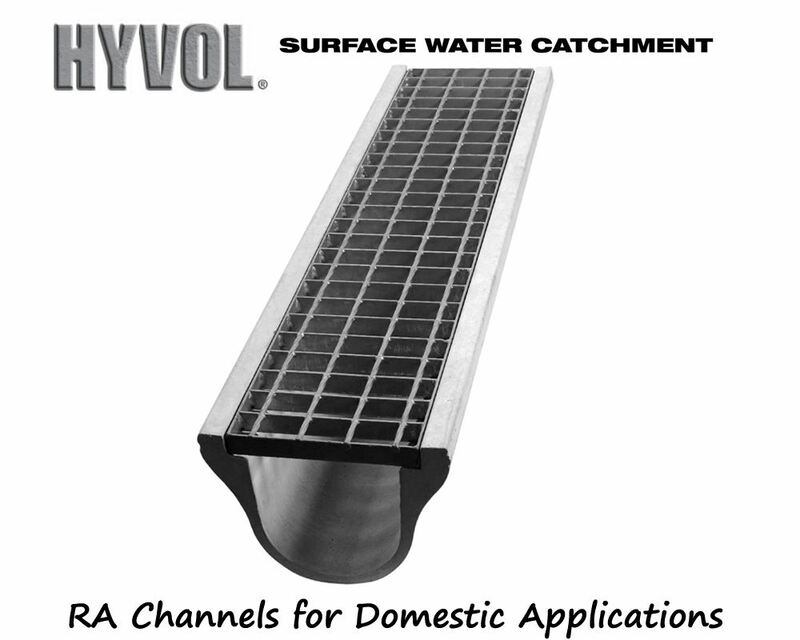 Used for home garage aprons & peripheral stormwater protection. 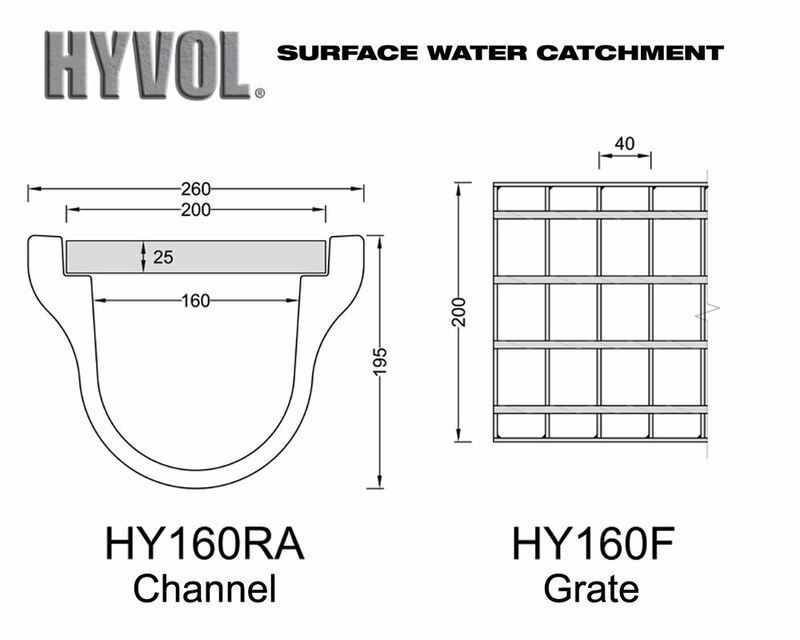 Grate Security HYCL1 saddle clip and HYAP anchor plate can be used with these channels and are optional.